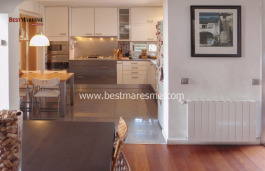 Fantastic manor house distributed over 2 floors and located in the town center of Argentona. 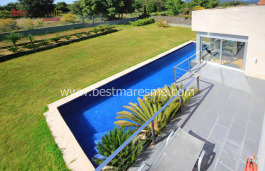 The house has 300 m2 built in 1925 and renovated in 1995, constructed on a 1450 sqm plot, having a beautiful pool. 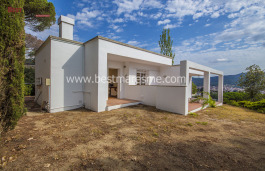 It situated only 150 meters from the Coastal Natural Park, which is a very quiet area 30 km from Barcelona. You can enjoy nice walks in a nice fresh and healthy environment. 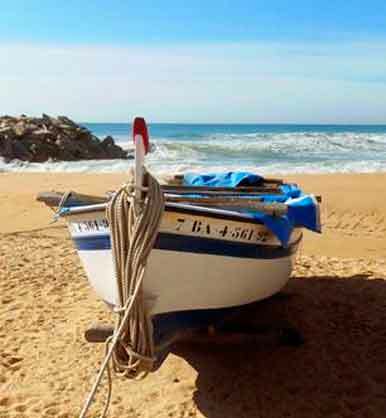 The town of Argentona is only 10 minutes away from the Barcelona’s beautiful coast line beaches. 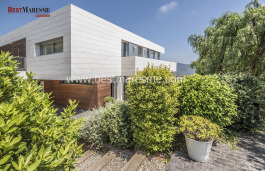 On the main floor of the house are two large rooms, which can be enjoyed during different seasons, one has fireplace and the beautiful ceilings are made with typical Catalan vault being a very cool room in summer. The other room next to the kitchen has large windows with access to a comfortable covered porch where you can have any type of meal with family or friends, plus a beautiful garden planted with flowers, large trees and different kinds of vegetation with enough space to create your own orchard. It also has a nice and beautiful pool. On the same floor there is a spacious, bright and practical eat-in kitchen plus a toilet room and the master suite. Upstairs are 3 double bedrooms, one en suite and a second fully equipped bathroom. All rooms have large fitted wardrobes and air conditioning plus a lovely terrace, two of them with nice sloping ceilings. Extras: Alarm system, fantastic garden with pool and barbecue area, plus a beautiful porch. Among the extras the house also has a well for watering and supplying the pool.